Every month I like to pick a theme and then list my favourite 12 crafts for that theme. This months it’s Apples & Pears (the fruit and not the cockney rhyming slang for stairs). Past themes have include pineapples and cactus. 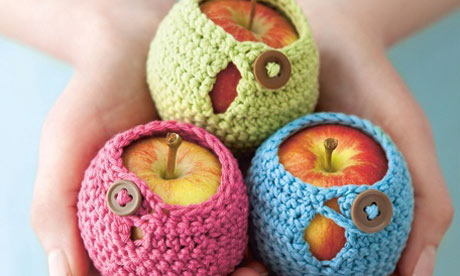 I love them all but if I had to pick a favourite it would be the crochet apple cosies they are just look so cute. 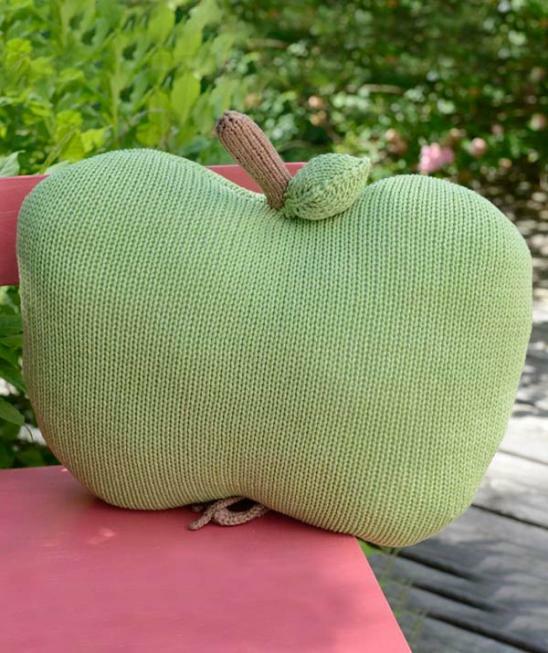 Here is a pattern to knit this gorgeous apple cushion, this one’s green but you could always knit a red apple. 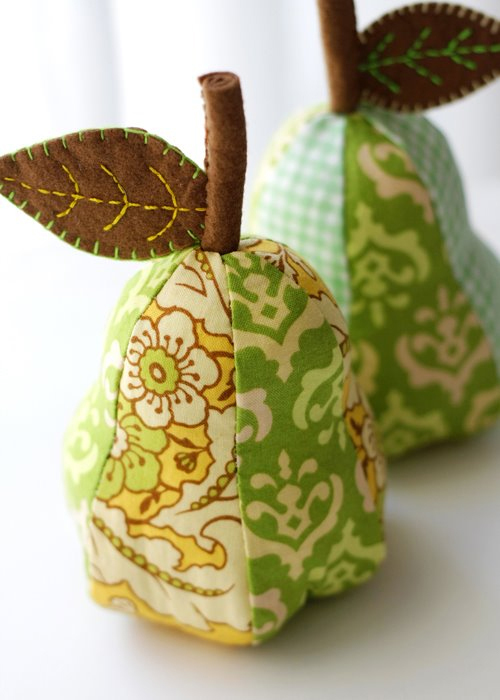 A great tutorial to make these sweet fabric pears, they could be used as a pin cushion or would just make a great decoration. There is also a tutorial for apple ones too. 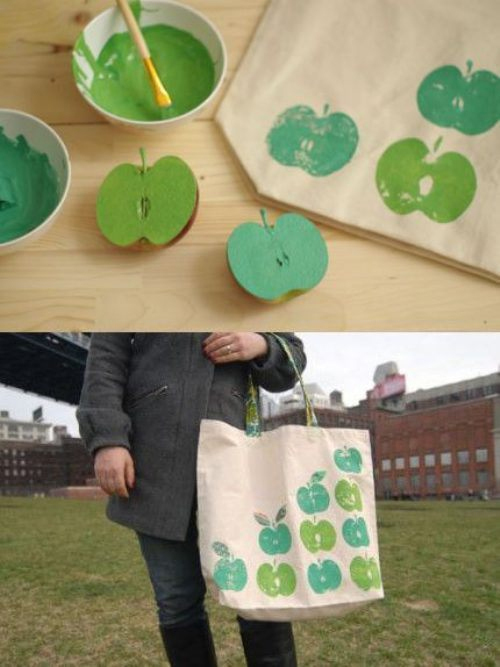 What a simple idea – cut an apple in half to make a stamp to print on fabric. You could do the same with an unripe pear. These may not be the most practical of things but who needs practical when they look so cute. If you want practical, I’m sure they help stop apples getting bruised ! These would make a great Christmas decoration and I’m sure its just as easy to make pear shaped ones. 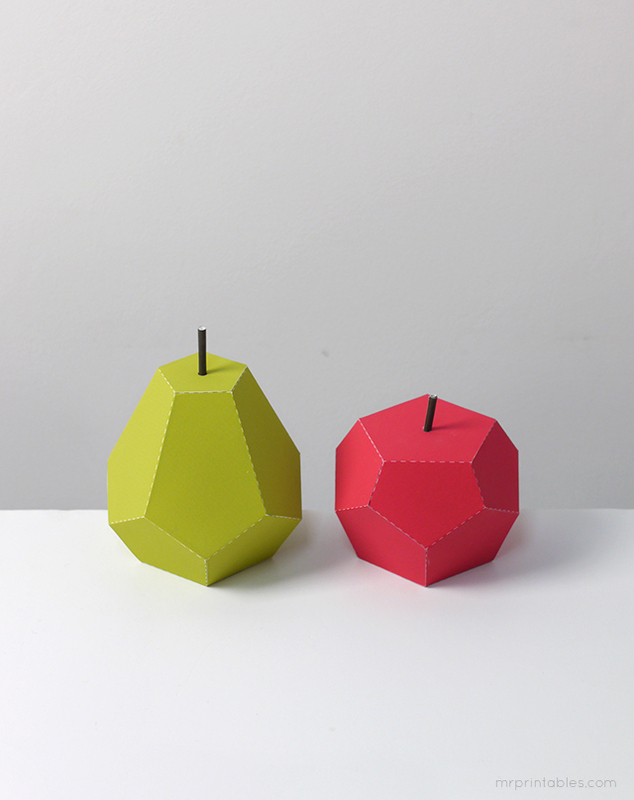 Some more paper apples and pears but geometric ones this time. Free printable download. 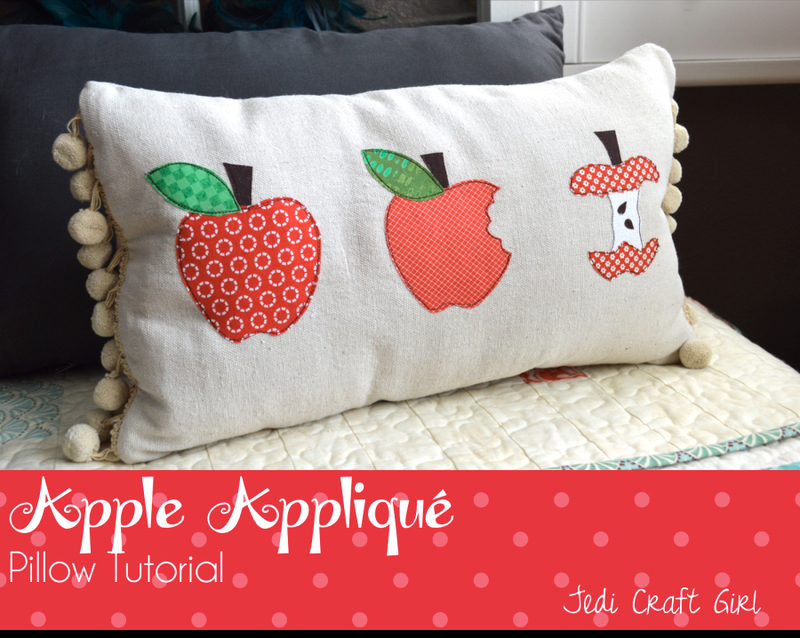 The apples on this cushion look great but you could easily apply the applique to a tea towel or apron. 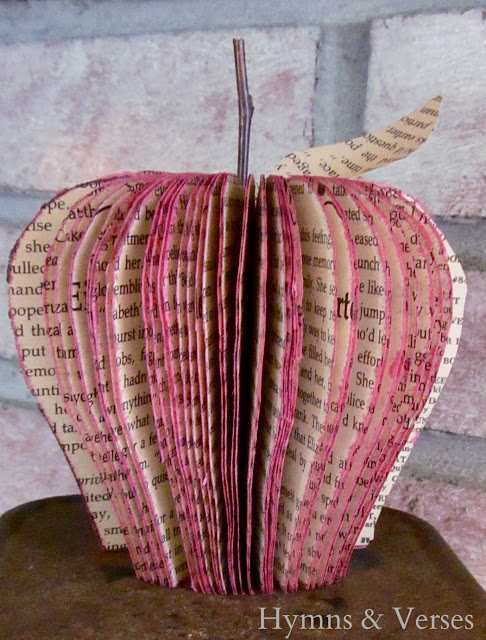 Brighten up you childrens bookshelves with these lovely apple bookends. 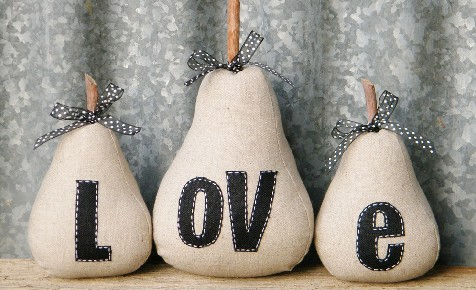 I really like these Pear door stops and you can personalise them by appliqueing whatever letters you want on the front. I love crafts that upcycle rubbish like plastic bottles and this is a great one. 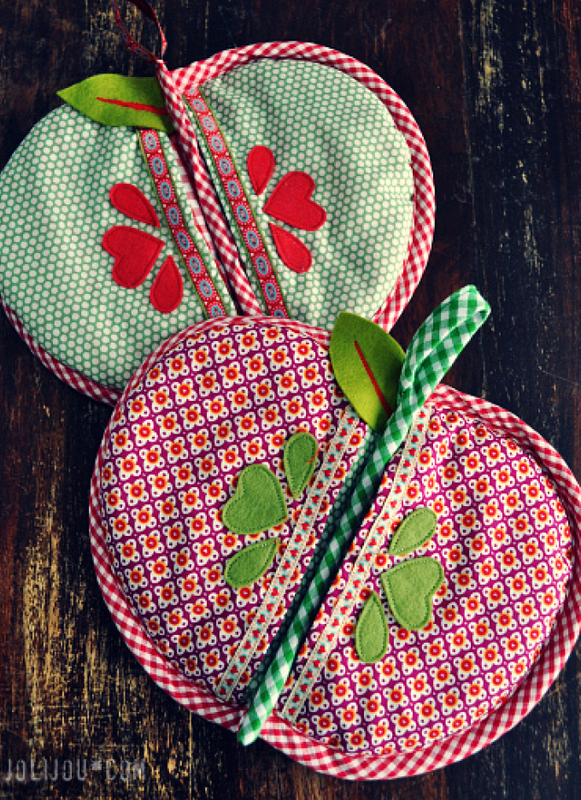 These would be great for giving a little gift in, perhaps some homemade apple fudge. 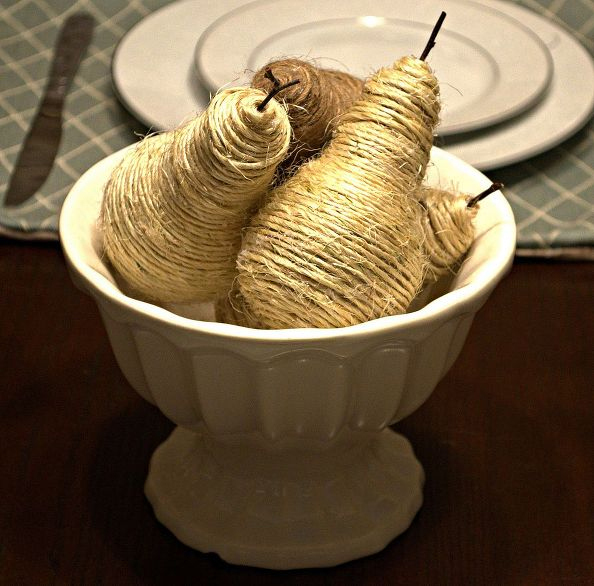 These twine pears are easy to make using old light bulbs. You could make them in different colours using the fantastic array of Nutscene twine. 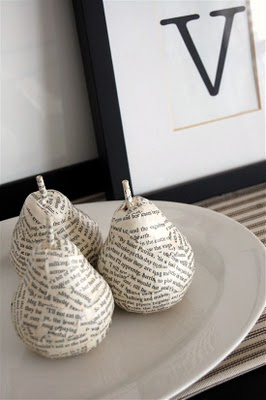 Finally I have just had an idea, you can make some page wrapped pear ornaments like the ones from Anthropologie below, by decoupaging paper from old books onto old light bulbs. Which ones your favourite ? 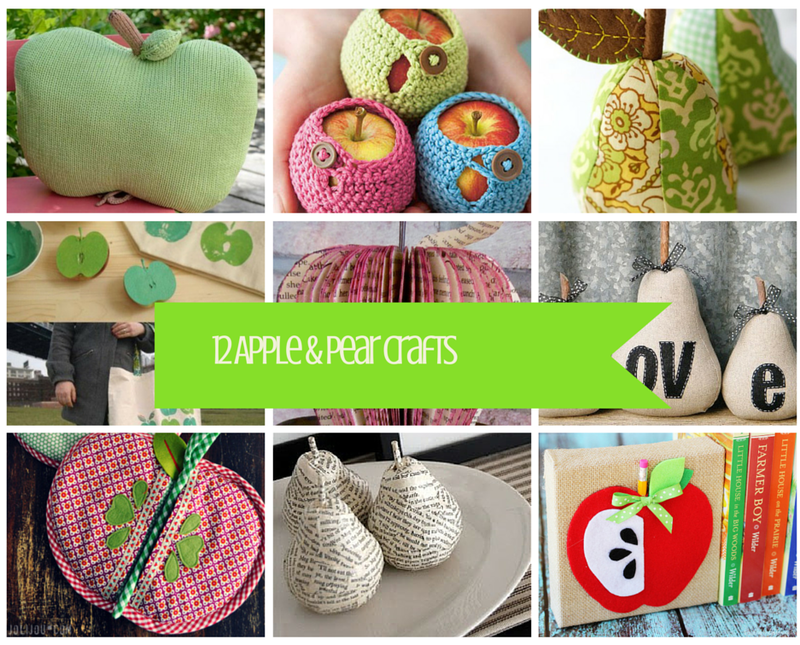 If you have any apple and pear themed crafts of your own I’d love to hear from you. 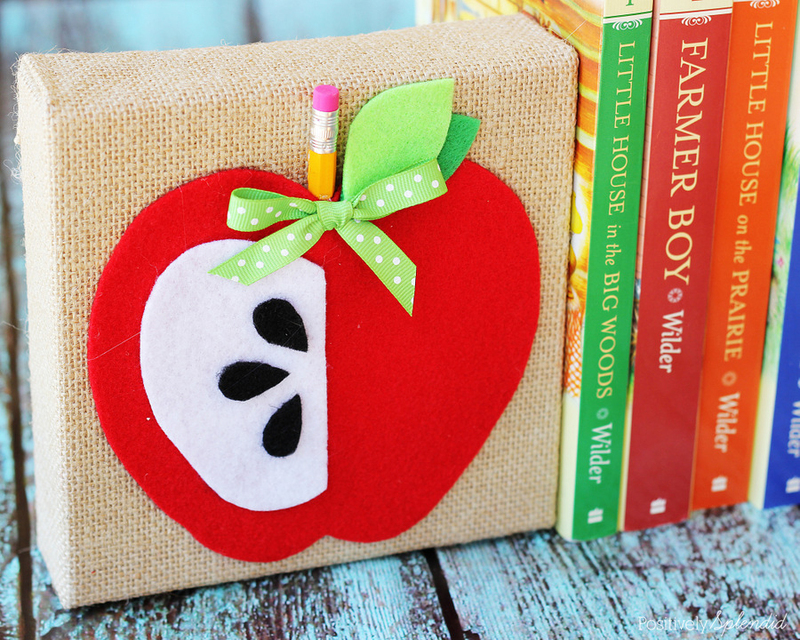 Such great Fall crafts. Even though I can’t do them all, I know my Mom can help me with a few. Thank you for linking up at #HomeMattersParty and we hope to see you again soon! What cute ideas! I love the tote bag. Thanks for sharing at the Weekend Blog Hop at My Flagstaff Home! Thanks yes I think the tote looks great too. Love the ideas. 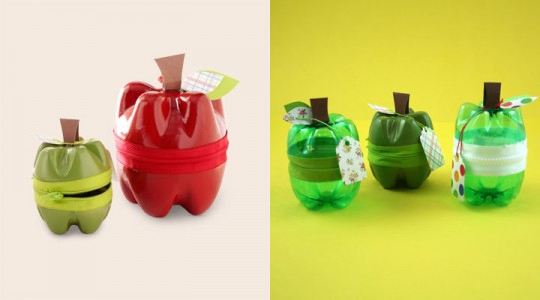 The up-cycled pop bottle apples are super cute. Thank you I agree I think they look really good I’m definitely going to give them ago, they’d make a nice gift box.